Los reyes del perreo “Mr. A” y “Sr. 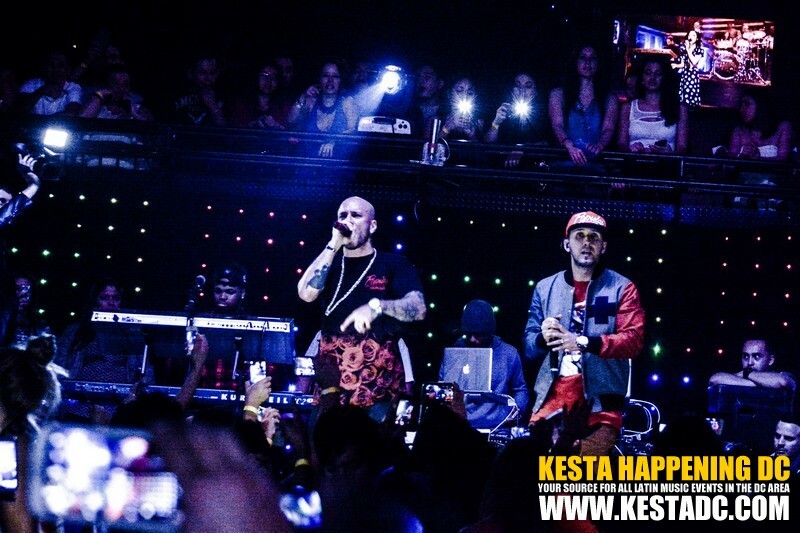 F” better known as Alexis y Fido took over The Palace in Woodbridge last month with a power packed performance clad with their biggest hits and cuts from their new album “La Esencia” out this month. Hosted by Pretty Boi Mo from La Nueva 87.7FM, The Palace was packed with a crowd ready and roaring to dance and get lost in the reggaeton beats from Alexis y Fido. To the tune of Energía the duo stepped on stage to unleash their ferocious and seductive flow. What I love about an Alexis & Fido show is that all the girls in the audience (this one included) do away with their reservations, let their hair down and dance like there’s no tomorrow. Girls can hold their own and have flow too, and Alexis y Fido know this, that’s why they engage the females in the audience in such a straightforward and to the point way. Me Quiere Besar, Rescate, Mala Conducta and Ojos Que No Ven were just some of the speaker busting beats. Between all these songs and when you add tracks likeBartender and Me Quiere Besar, it makes me wonder how many “after parties” took place the 5 Letras. After party or not, this was a night up to royal standards they ARE los Reyes del Perreo after all.